It’s easy to forget just how clunky and inefficient modern banking infrastructure is until you urgently need to send or receive money. It’s at that point in time you’re likely to forget the significant technological progress we’ve made as a society over the past couple decades in improving the efficiency of communication. We can instantaneously keep the entire world updated on the progress of our latest ventures via Facebook, Snapchat, or Instagram, but we can’t make bank transfers on weekends? Surely George Jetson would have expected more for us in the year 2018. While it remains unclear whether Mr. Jetson would have mined bitcoins or preferred the idea of staking ether, it seems likely he would be one to advocate for the use of digital currencies. Cryptocurrencies seek to build upon our increasingly connected world by enabling us to express value without the need for physical notes or coins. While the lack of physical representation is the most obvious change for those new to cryptocurrency, it might be the least remarkable attribute of this rising asset class. Fast, inexpensive transfers and true ownership are primary benefits cryptocurrency offers at this point in time. It’s only just beginning. Trying to imagine the impact blockchain and cryptoassets will have over the next 10 years is like trying to predict Amazon, YouTube, and Instagram during the days of dial-up internet. Guessing cryptocurrency’s killer app this early on is a low percentage play. Instead, attention should be given to the basics; the foundational infrastructure that the next great application will be built atop of, as will the next great application after it. According to Baanx, a key component to facilitating the growth of cryptocurrency is taking the financial toolset that exists within the modern banking world today and making it available to users of cryptocurrency. Seeking to become the world’s first blockchain based Cryptobank and Crypto-Financial Services network with secure cutting-edge mobile applications, Baanx plans to deliver products across lending, savings, deposits, and investments via its decentralized network. As cryptocurrency adoption rates continue to rise, banks are beginning to recognize this new asset class as a serious threat to their business. Consumer expectations are now centered around a demand for digital services delivered instantly with a high level of personalization. Put simply, cryptocurrency offers a shorter path to these goals when compared to fiat currency, especially considering the application layer on top of which innovative solutions such as Baanx can be built—which also provides open API access. The result is an open financial network primed for massive innovation without any obvious bottlenecks or need for permission. Baanx Group intends to launch 100 new Crypto-Financial service brands into the market leveraged by existing follower bases. The Baanx network has already delivered million in loans already. 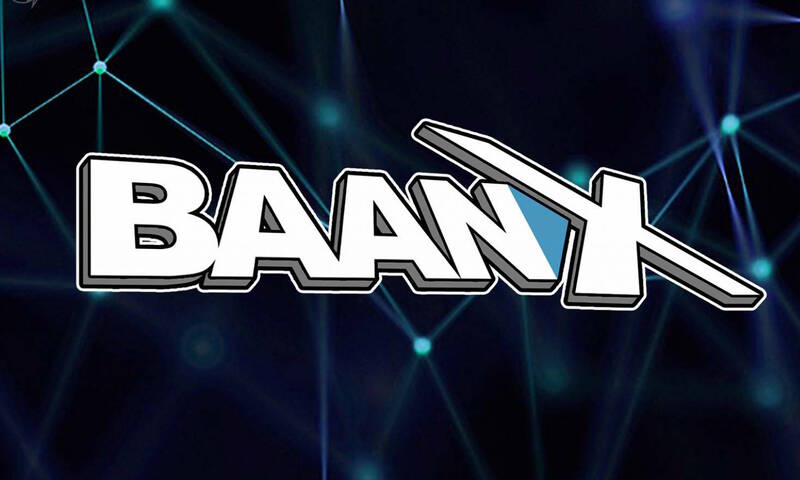 You can learn more about Baanx, as well as participate in the upcoming public pre-sale featuring a 25% discount, by visiting their official website here.